Do you spend hours creating word lists and weekly vocabulary tests only to find that your students have "forgotten" the words by the following week? Janet Allen and her students were frustrated with the same problem. Words, Words, Words describes the research that changed the way she and many other teachers teach vocabulary. It offers educators practical, research-based solutions for helping students fall into new language, learn new words, and begin to use those words in their speaking and writing lives. making reading the heart of vocabulary instruction. 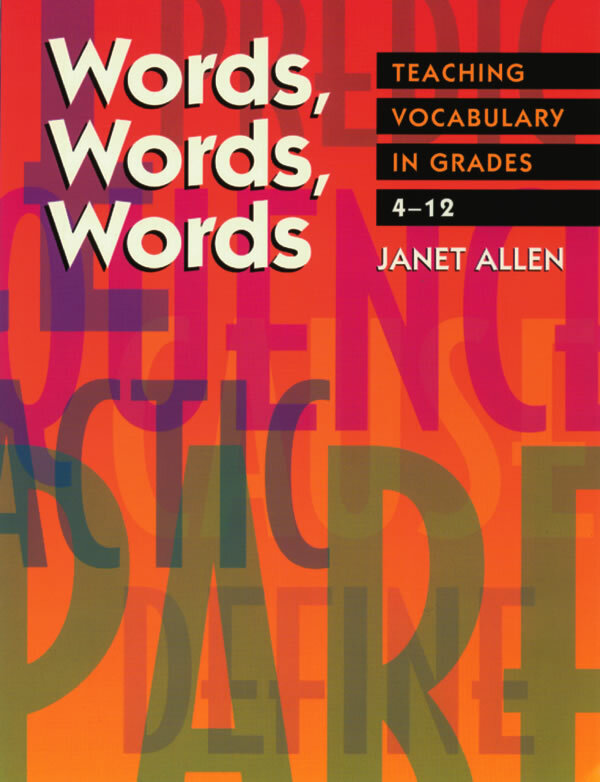 Words, Words, Words provides educators with a strong research base, detailed classroom-based lessons, and graphic organizers to support the strategy lessons. At a time when teachers are struggling to meet content standards in reading across the curriculum, this book offers some practical solutions for meeting those standards in ways that are meaningful and lasting. Janet Allen is an international consultant recognized for her comprehensive work in reading education. 3. Alternatives to, Look It Up in the Dictionary! 5. How Do We Know It's Working?